Are You Guilty of Ignoring Your Gums? Most of us take good gum health for granted without even considering what it means and as a result gums are often neglected. This is unfortunate because your gums provide essential support for your teeth. No matter how great your teeth look or how much money you’ve spent on veneers or tooth whitening, it’s all meaningless if you don’t look after your gum health. Without their support, you will eventually lose teeth because unhealthy gums are the major reason for tooth loss worldwide. What are the Signs of Poor Gum Health? When your gums are healthy then they should feel firm if you lightly press them. If you take a look at them in the mirror you’ll notice they fit nicely around your teeth, snugly coming up right to the edge of your teeth without any nasty looking gaps. The color of the gum tissue is likely to be a nice healthy pink and they could look likely stippled. When your gums are unhealthy, they are likely to feel squishy and tender to touch and they may look swollen and bright red. Instead of it feeling firm, they are more likely to fit poorly around your teeth. You may even notice that some teeth look longer than you remember because your gums have pulled back so far that they have begun to expose your tooth roots. This loss of gum tissue can also lead to unappealing black triangles developing in between your teeth caused by the empty space left from where your gums used to be. Your gums act a bit like a seal. When they are healthy and fit tightly around your teeth, they prevent harmful bacteria from your mouth from entering directly into your bloodstream. When your gums are unhealthy, they will frequently bleed allowing bacteria free passage directly into your bloodstream. As your gums begin to pull away from your teeth, this allows bacteria to get deep in between your teeth and the gums. This will penetrate other structures surrounding your teeth and which include ligaments and bone. The bacteria will gradually destroy these structures just like they destroyed your gums. Once these bacteria get deep inside your body, they can have a serious effect on your general health due to their inflammatory nature. Periodontal disease has been implicated in numerous clinical studies. Worsening existing health conditions including diabetes, this increases the likelihood of others which include heart disease, rheumatoid arthritis and even certain cancers. When you take care of your gums, you’re helping to protect your general health not to mention your teeth. The bad news is that around half of all adults will have some degree of gum disease during their lifetime. What makes it worse is that the very first signs can be difficult to catch in time. Some people are more at risk than others and that includes people who have dry mouth, a medical condition called xerostomia, or who have poor nutrition or who smoke. Even having high-stress levels can increase the risk of periodontal disease. People with a history of diabetes or heart disease in their family or a history of arthritis are at higher risk. This also applies to people who have a family history of periodontal disease. It’s vital to be aware of these risk factors. This is because generally, symptoms don’t develop until someone is in their 30s or 40s and by this time periodontal disease male already be well advanced. That’s the bad news. The good news is that you can enjoy good gum health provided you are committed to looking after your gums. This only means spending a few minutes each day on an oral care routine. It’s essential to brush your teeth at least twice a day, preferably first thing in the morning and last thing at night. Even if you feel very tired and are tempted to go to bed with dirty teeth, it’s worth remembering that it will only take you a few minutes. It only takes a few seconds to thoroughly brush and floss your teeth and it could save you an awful lot of heartache and money in the future. Every time you brush your teeth, aim to spend at least two minutes methodically brushing all tooth surfaces. One way to do this is to think of your mouth as being split into four sections so that you know you need to spend roughly 30 seconds cleaning each section. It’s an easy way to make sure you don’t miss any areas of your mouth. It’s important to floss at least once a day and it is best to do this last thing at night. This removes food and plaque debris from in between your teeth and these tooth surfaces account for approximately one-third of all tooth surfaces. Failing to floss thoroughly means you are leaving one-third of your tooth surfaces dirty. It should only take you a few minutes to floss thoroughly or if you find it tricky then try using interdental brushes or purchase a water pick. This is an electrical device that forces pressurized water through a small tip that you simply place in between each tooth for just a second or two. It’s extremely effective at removing plaque and food. 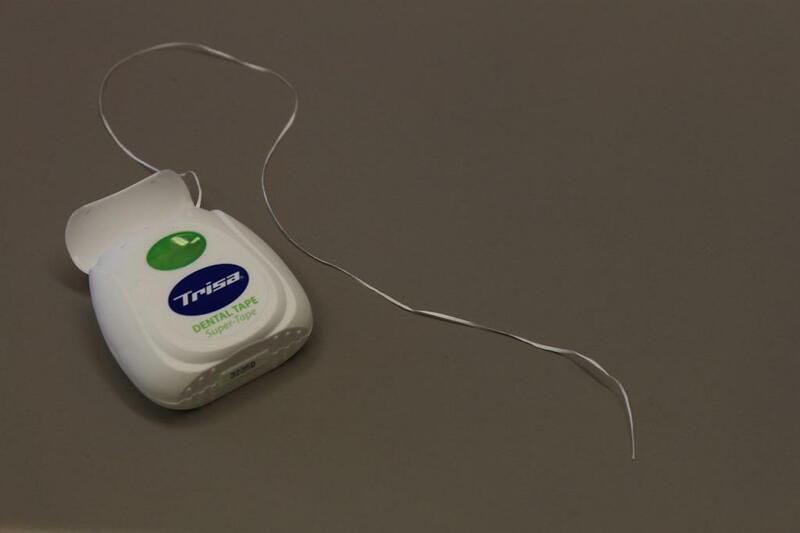 It’s ideal for anyone who finds conventional flossing a hassle or who lacks the manual dexterity to floss thoroughly. There’s a very good reason why your dentist asks you to visit them at six monthly intervals for checkups and cleans. They know this is the best way to detect the very first signs of periodontal disease at a stage when this disease is reversible and easily treated. Often it can be treated by simply improving your oral hygiene routine and by having your teeth professionally cleaned. These simple preventative measures will give you peace of mind. It will ensure that any signs of gum disease or any other dental problems can be treated more cheaply and less invasively, preserving your teeth and gums. If you think you might already have a periodontal disease then don’t delay. Schedule a periodontal evaluation with a good periodontist. They can diagnose any signs and will provide the right treatment depending on the severity and progression of this disease.